It is the largest unofficial national holiday of the Americans. On February 3, the final of the football season of the American NFL professional league was played. This year’s Super Bowl provided us (as always) with huge emotions and new records. Here is the Super Bowl 2019 in numbers. Super Bowl is one of the most important sports events of the year. Every year, the whole world is watching the Super Bowl. That one day, this one evening, the Americans don’t talk about anything else. Each of them has the same plans. Each of them is watching the Super Bowl. Super Bowl is even watched by an American who doesn’t watch the NFL league on a daily basis. The final of the NFL league grew up in the United States to the rank of a national holiday, and although it is not official, probably even the White House and the President himself don’t do anything else but the Super Bowl. American football is considered to be (next to baseball and basketball) the national sport of the United States. No wonder then, that when the Super Bowl is about to start, Americans go crazy. They can not wait for a dose of unforgettable emotions. They are also waiting for information about beaten records. Let’s experience the final of the Super Bowl 2019 again. Let’s see what records were beaten this time on the pitch and outside – Americans are waiting each year for information about how many chicken wings have been eaten. On February 3, New England Patriots and Los Angeles Rams met at the Mercedes-Benz stadium in Atlanta. In the fight for the trophy made by the famous luxury brand Tiffany, Patriots were favorites. Patriots didn’t disappoint. The team won the match with a score 13: 3 and here the first record already appears. It was the lowest Super Bowl result in history. The first record mentioned isn’tt impressive. Fortunately, this is the only such case of this year’s Super Bowl. It is amazing that New England Patriots played in the finals of the NFL for the 11th time. Patriots are the only team that played the finals so many times. Patriots are also second team in history that won the Super Bowl 6 times. Only Pittsburgh Steelers did that in the past. 6 is also a lucky number for Patriots’ player Tom Brady and coach Bill Belichik, all because winning this year’s Super Bowl means that they are the only people in the NFL history who won the Super Bowl 6 times. Brady and Belichik beat two more records. Brady (41 years old) became the oldest player who won the Super Bowl and Belichik (66 years old) is the oldest trainer who reached for the title. Another sporting record of the evening was establishing a new length of punt by Johnny Hekker – 65 yards. Other records beaten during the Super Bowl 2019 include the price for broadcasting a 30-second ad during a break in the match. This year it was USD 5.25 million. Profit from broadcasted ads is estimated at over half a billion dollars. The next record is the number of chicken wings eaten by Americans that day. It is estimated that more than 1.38 billion wings were eaten, 27 million more than during last year’s Super Bowl. The Super Bowl is also impressive in terms of numbers such as the number of cameras broadcasting the match, the cost of tickets right before the event or players’ wages. This year’s Super Bowl was broadcasted by 125 cameras which is quite a lot. On the day before the Super Bowl, you could still buy tickets, but their price exceeded $ 3,000. The number of falsified tickets is much higher – according to police data around 285,000 of tickets could be falsified. The price for a ticket just before the event, however, is nothing compared to the amount of money that each player of the winning team gets. Each of the Super Bowl’s winners can count on a $ 118,000 salary. Lost players leave home with a salary of about $ 60,000 for each player. It is also amazing how many people are watching the Super Bowl on TV. A record number of viewing the Super Bowl in the United States is 114 million viewers. When you add to this the viewers from all around the world the numbers can be unbelivable. This year, it was predicted that the final of the NFL games will be watched by over 103 million Americans. However, you will have to wait for the final results for a while. One of the most important events of the evening was also the performance of cheerleaders. 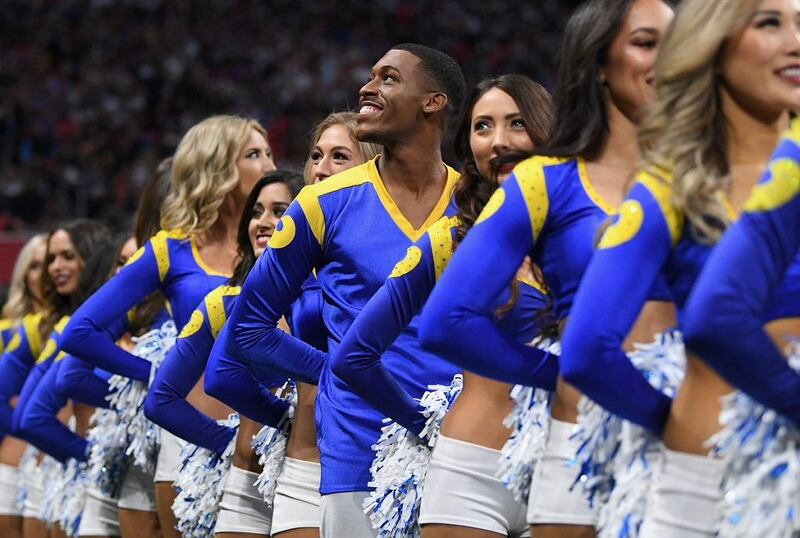 This event would not be unusual, in the United States cheerleading groups are very popular, if not for the fact that this year for the first time in history cheerleading girls were joined by two cheerleading boys, which was a sign of NFL’s support of equality.